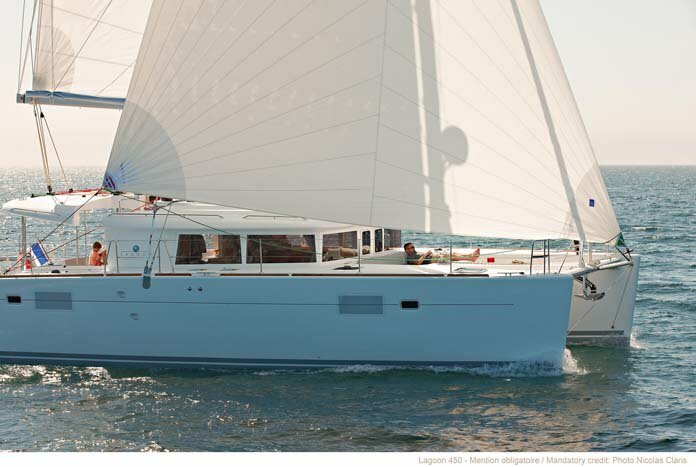 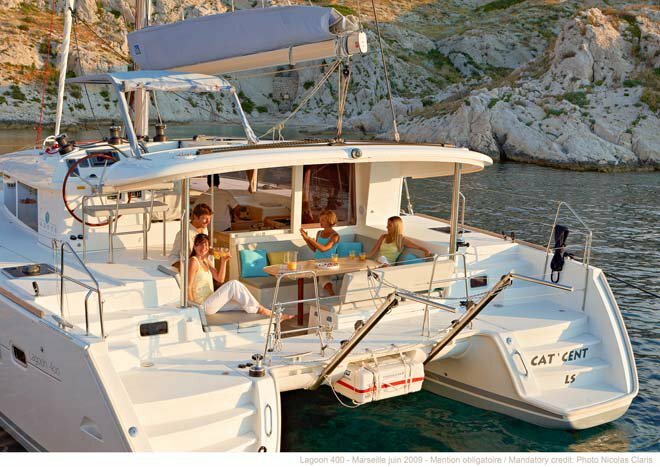 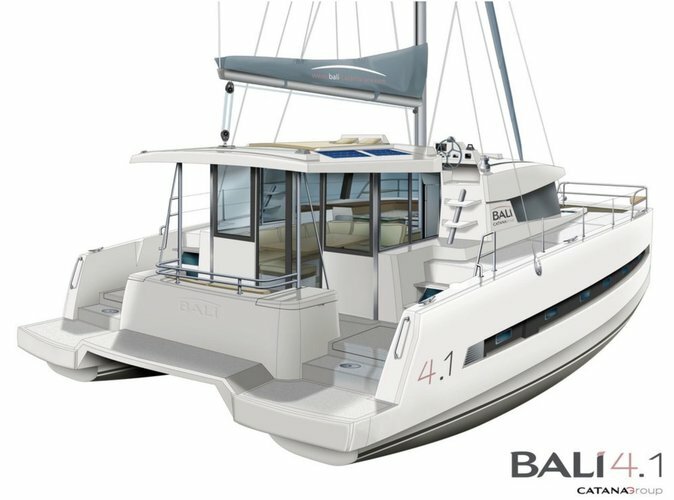 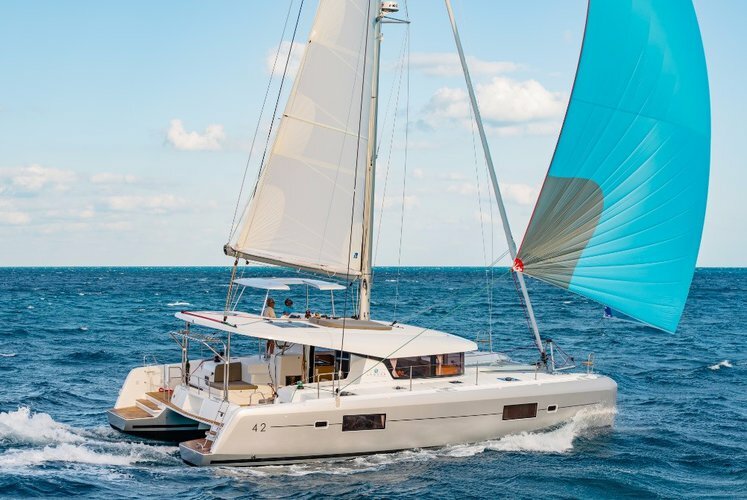 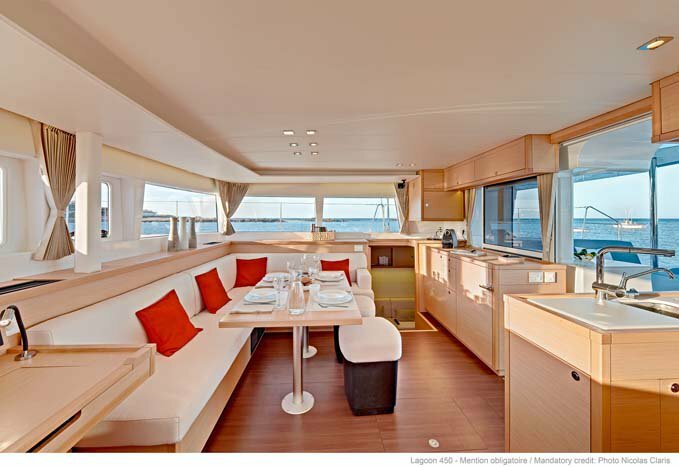 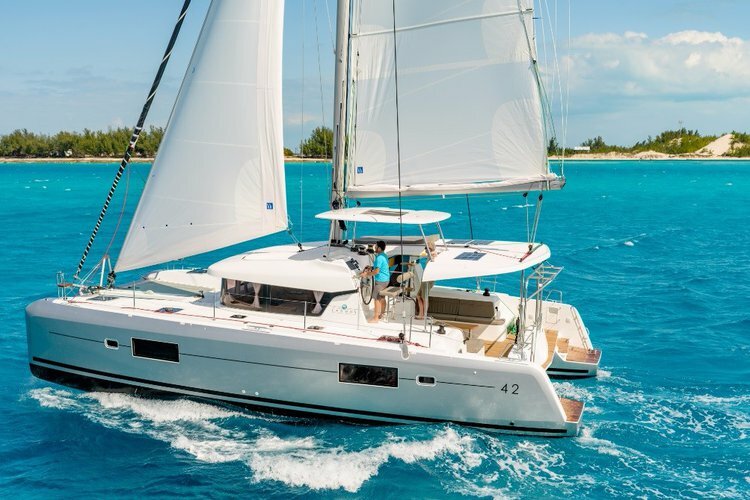 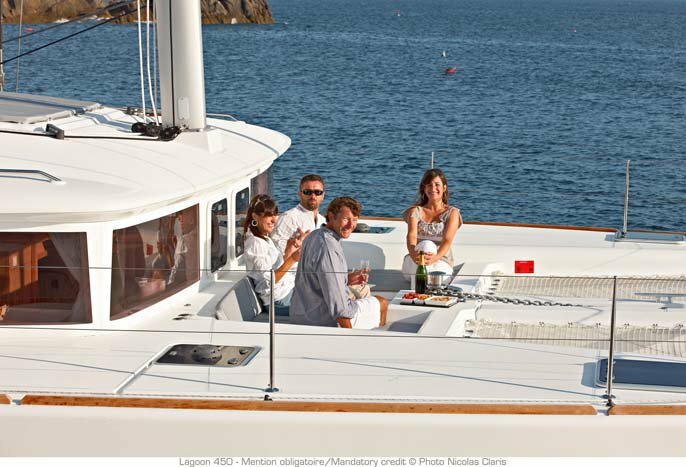 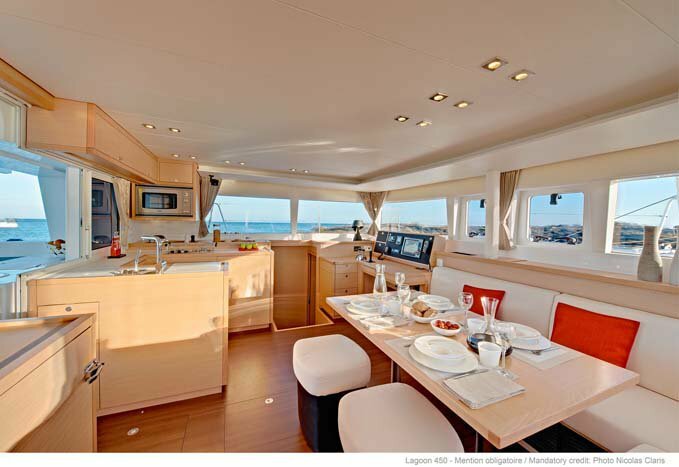 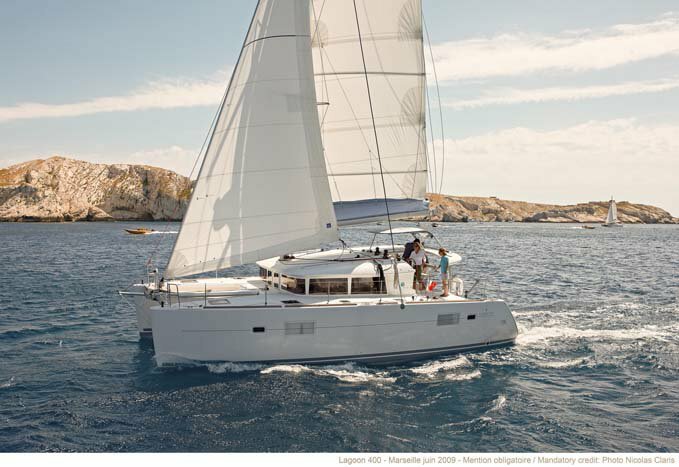 Enjoy sailing in the Bahamas aboard Lagoon450. 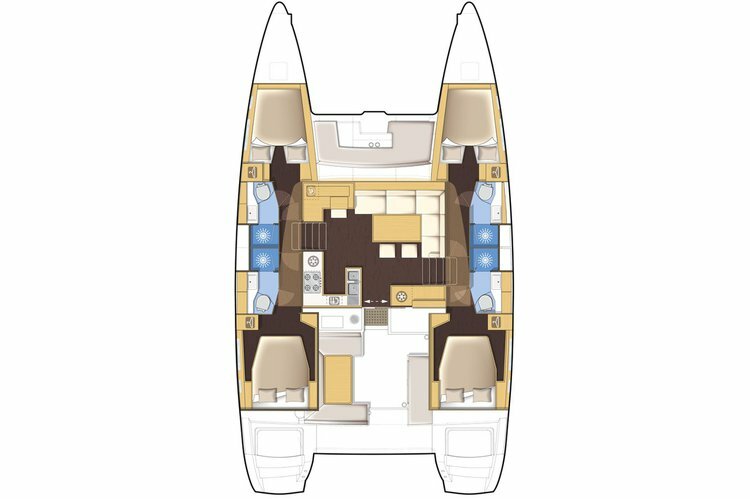 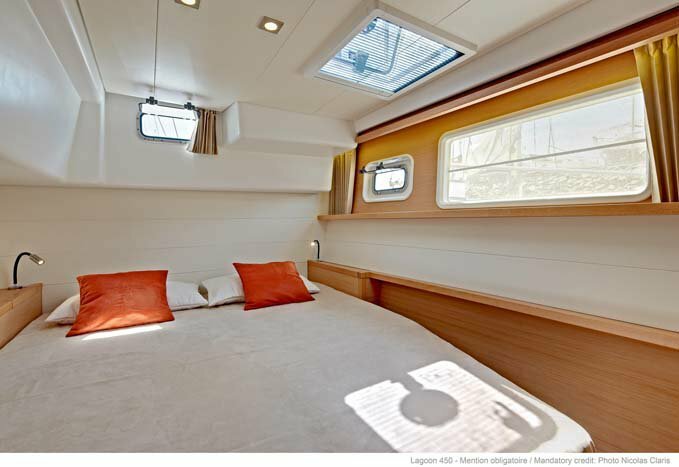 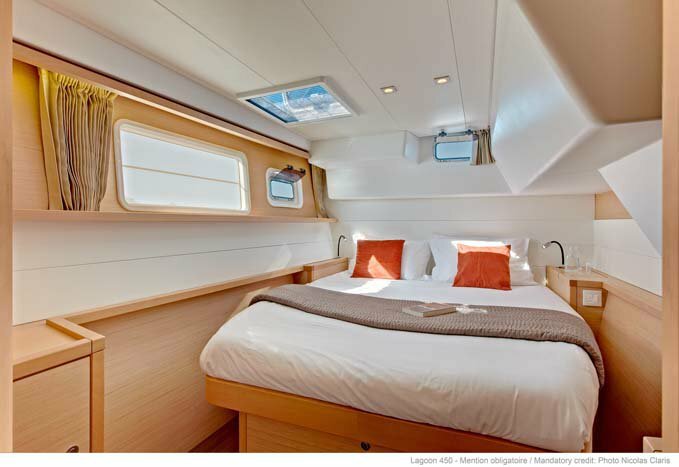 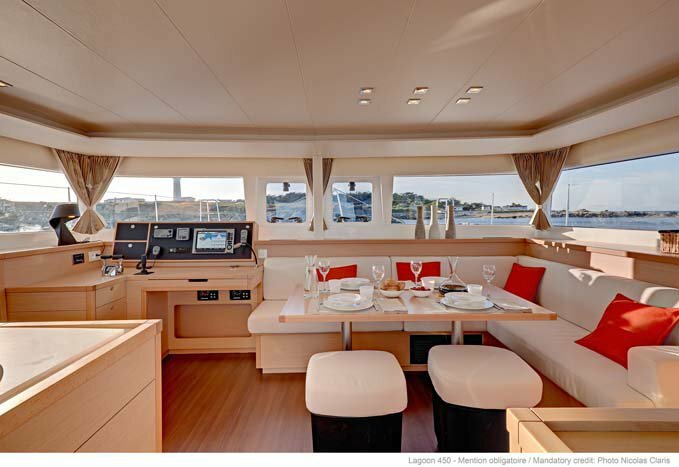 The vessel can comfortably accommodate up to 8 pax in its 4 cabins. 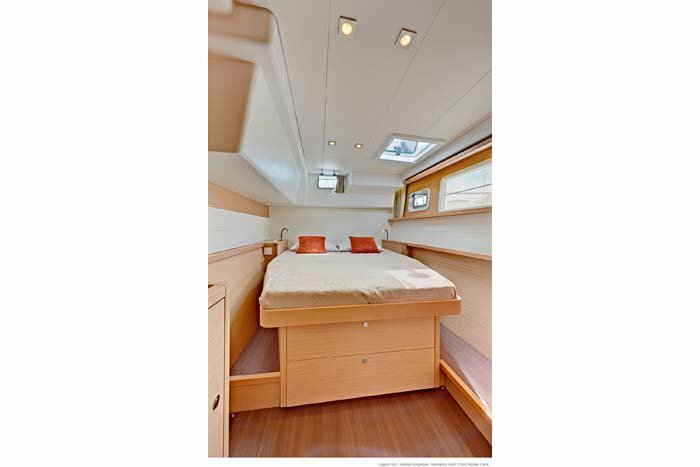 It has 4 heads, 4 showers and 4 double berths. 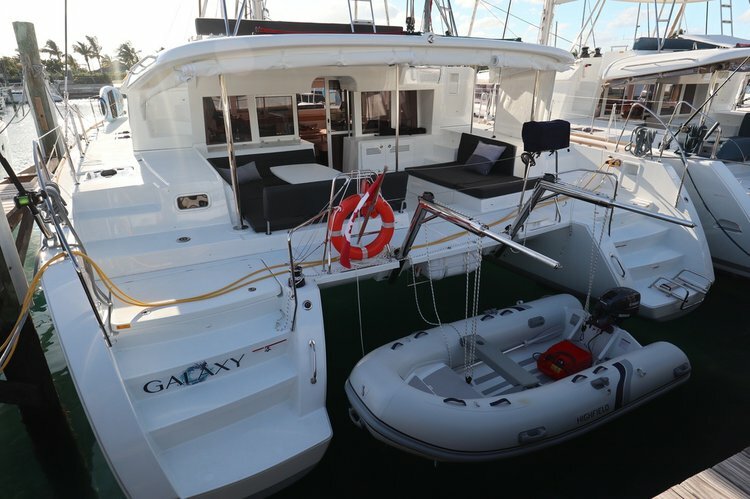 The vessel is powered with Yanmar 2 x 54 HP Engine & has 1000 l fuel capacity. 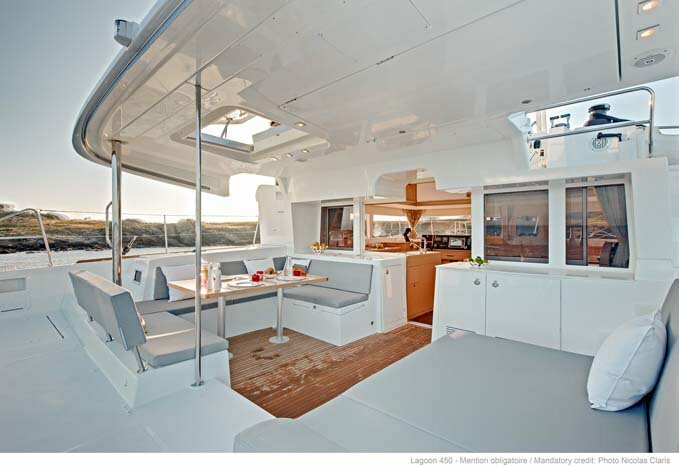 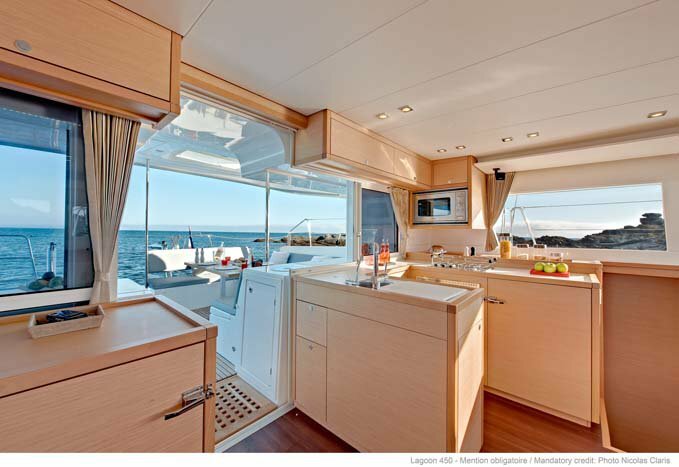 • AMENITIES: Bathing platform, BBQ, Boarding ladder, Bugs Screens, Dodger, Full Set of Charts, Gas Stove Oven, Hot/Cold pressurized fresh water, Lazy bag, Lazy jacks, 30 amps Shore power, Solar Panel & Steering Wheel.